Dreaming of a tropical island holiday........................a secluded spot where your worries and cares drift away with the setting sun, a mystical place to soothe your soul and revive your spirit. 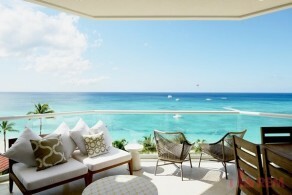 Escape to Neptunes Berth in Litttle Cayman and relinquish yourself to relaxation. This 2 bedroom, 2 bathroom condo offers all the amenities needed for a truly relaxing vacation. Neptunes Berth has been expertly decorated in soft blues and whites to help shake off the hustle and bustle of city life, sit and relax in spacious open plan, family room or take a swing on the porch hammock. Treat yourself to a vacation today - call us on 1 (345) 946-8664, the team at REM Services Ltd, can take care of the rest.